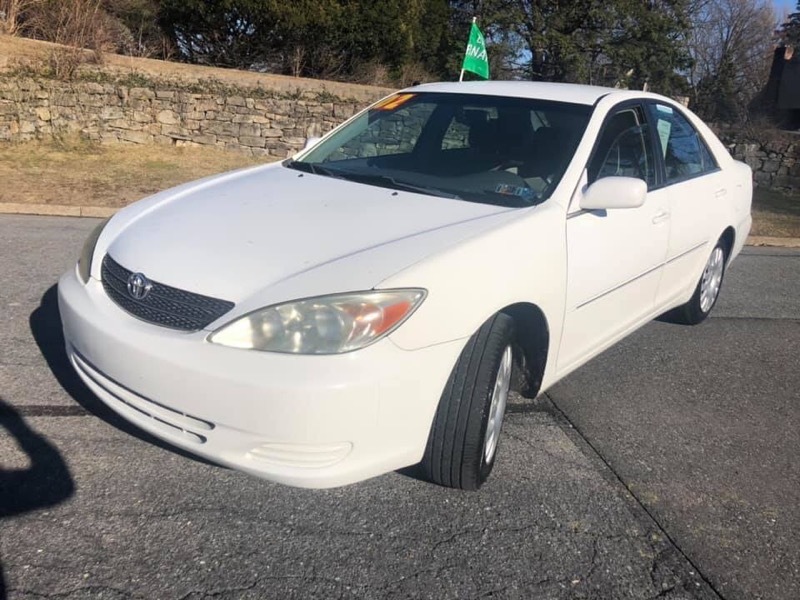 Used 2002 Toyota Camry XLE for Sale in Easton PA 18042 AGA Auto Sales & Service LLC. AGA Auto Sales & Service LLC. WELCOME TO AGA AUTO SALES AND SERVICE WHERE EVERYONE IS APPROVED. WE SELL FOR LESS.WE FINANCE GOOD, BAD, OR NO CREDIT. ASK ABOUT OUR GUARANTEED CREDIT APPROVAL. Family owned & operated. Most of our vehicles include a 3 months warranty & have been serviced & inspected. Visit AGA Auto Sales & Service LLC. online at agaautosales.com to see more pictures of this vehicle or call us at 610-438-1830 today to schedule your test drive. Message: Thought you might be interested in this 2002 Toyota Camry.